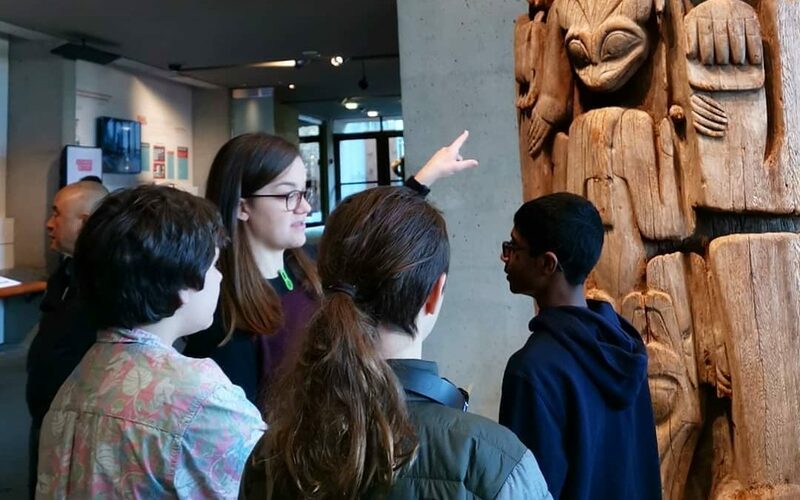 This March, students from both our elementary and high school programs had the chance to explore the incredible galleries at the Museum of Anthropology at the University of British Columbia along with a number of our teachers. 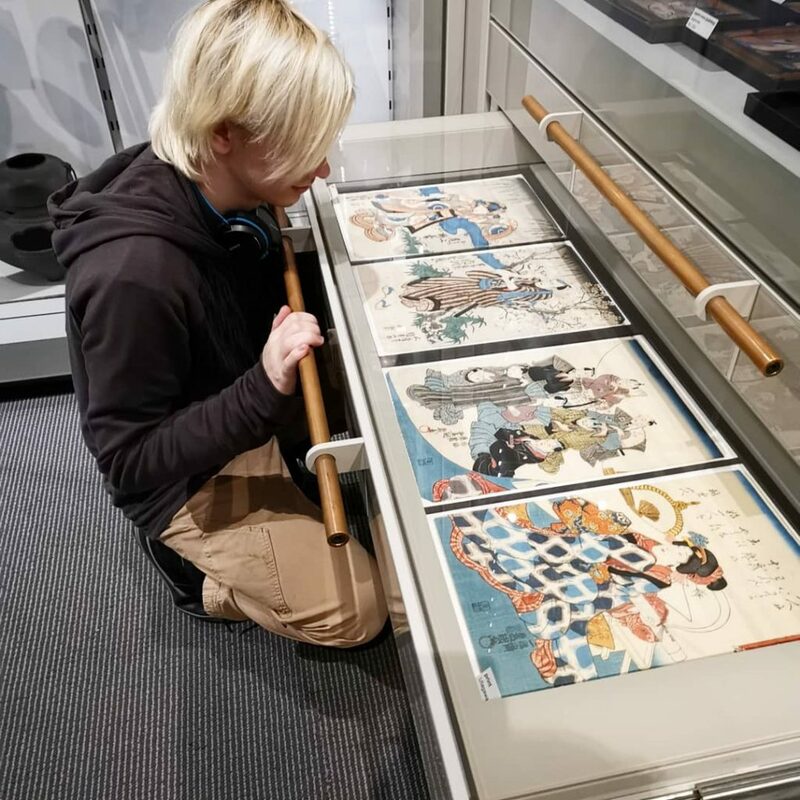 The permanent multiversity galleries are home to tens of thousands of objects representing cultures from around the world, including our very own Pacific Northwest. 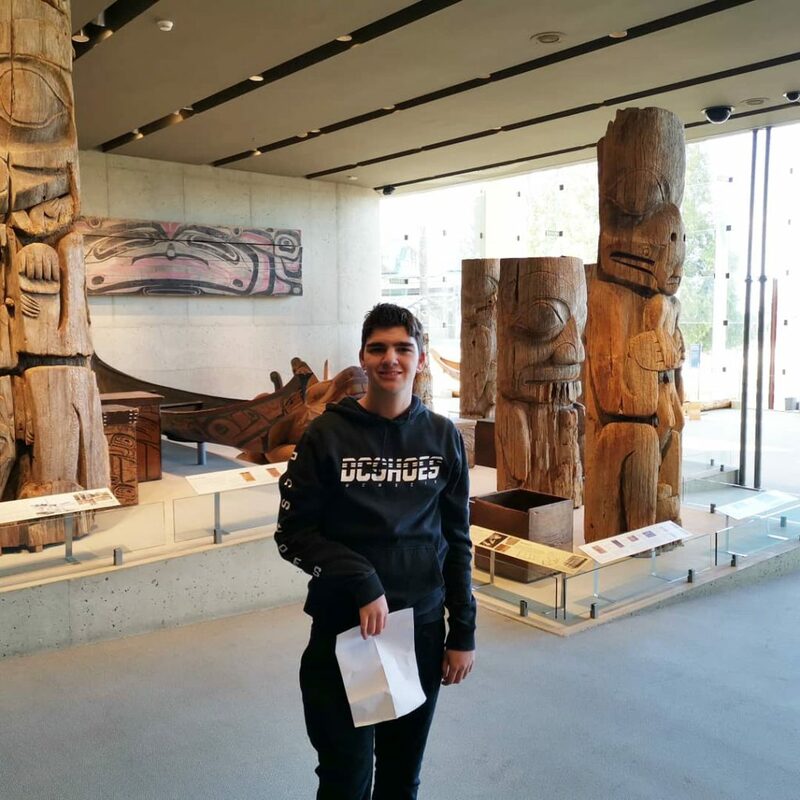 The open air exhibit behind the main museum building is constructed to resemble Haida Gwaii. 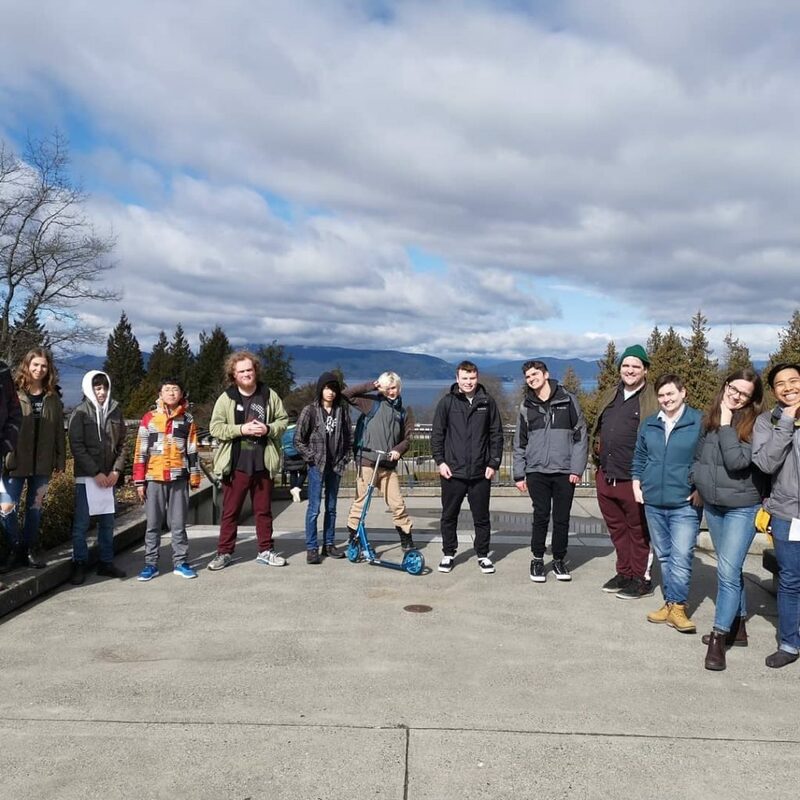 Students had the chance to take in the beautiful weather while exploring the outdoor longhouse, totem poles and pond.